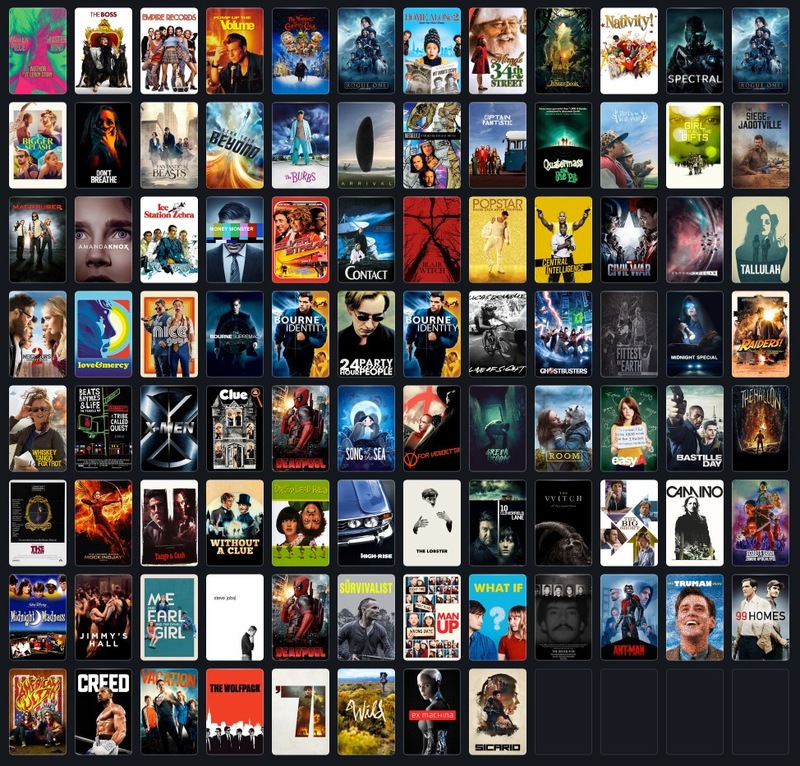 For the last few years, I’ve been using Letterboxd to keep a track of every film I watch. According to my Letterboxd profile, I watched a total of 92 films in 2016. Which is the same number of films as I watched in 2015, which isn’t bad, considering my wife and I had a child in early January, which severely limited our trips to the cinema. I also scored each film I watched, with a maximum score of five. Which lets me pull out some statistics1! The average score across all films was 3.1 / 5, which is pretty good2! The lowest score I gave a film was 1 / 5 (actually, I gave it to two films: Camino and Scouts Guide to the Zombie Apocalypse). The highest score this year was 4.5 / 5. The films I rated the highest this year were Rogue One (which I saw twice), Hunt for the Wilderpeople, Green Room and Steve Jobs. 92 films averages to 1.8 films a week. The graph of when these films were watched tells a bit of a story of the year. First week of the year, when my wife was heavily pregnant and ready to pop, we watched five films. Then, the entire month of April, when my baby was waking four or five times a night? One film. I only reviewed 43 of the 92 films I watched in 2016, which is a shame, because my little reviews are more helpful to me in remembering why I gave a film a particular score. I could barely remember watching Scouts Guide to the Zombie Apocalypse, but my review – my little note to amuse no-one but myself – reminded me why I gave it 1 / 5.